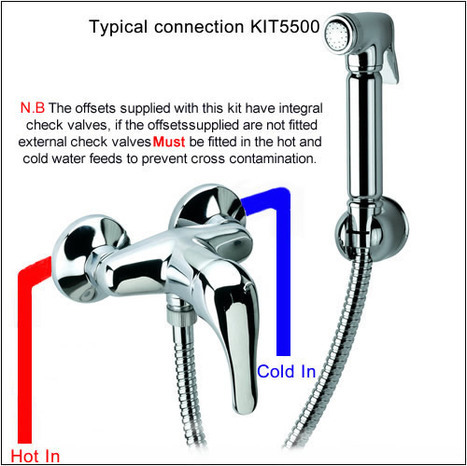 Bought KIT5500: Warm Water Bidet Shower Kit. Now fitted & in use for 2-3 weeks, and pleased with the bidet kit. Plumber had no issues fitting the kit, and the result is great. Easy to install. Good temperature and flow control. the product is excelent and I love it. A little dubious before --- but when received the item looked and felt good. My plumber was impressed with the quality of the item. Now installed and looks and works great ! 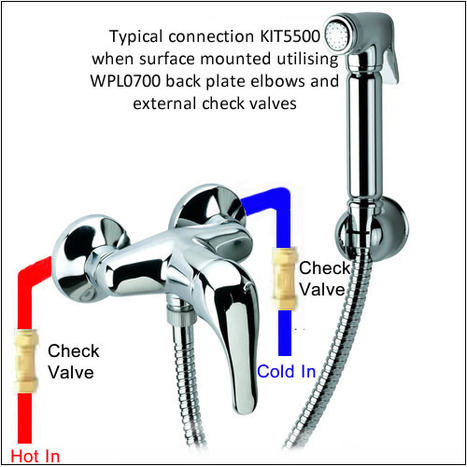 KIT5500: Contemporary manually controlled Hot / Cold bidet shower kit. 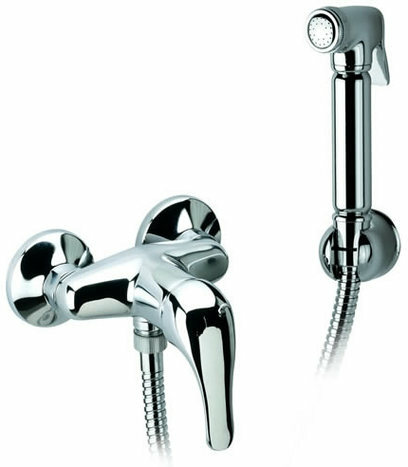 Comprises of the BRA4000 shower and hose, MIX5500 combination mixer valve with check valves and separate shower wall docking bracket. 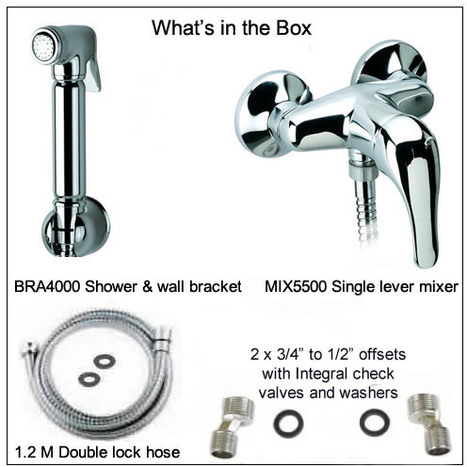 MIX5500: High Quality chromed brass single lever warm water mixing valve, turm handle left /right to increase / decrease water temperature tilt up / down to turn water on / off. 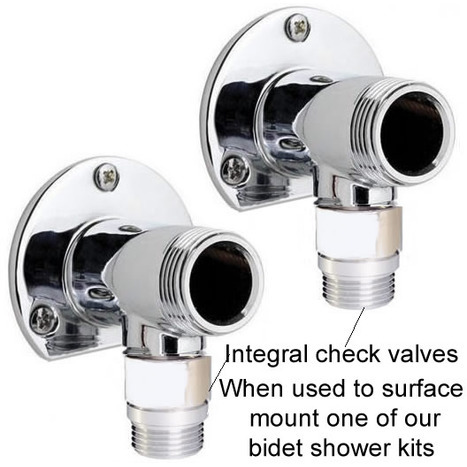 2 x 3/4" to 1/2" offsets with Integral check valves and escutcheons and separate shower wall docking bracket.